What makes North Carolina attractive to 530 biotechnology companies, including several dozen biomanufacturers and pharmaceutical manufacturers? 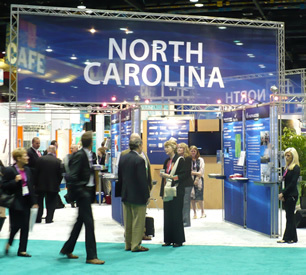 For starters, Site Selection Magazine ranked North Carolina's climate for business as the best for nine of the last 10 years. The state is also the fastest-growing and least expensive of the top states for biotechnology. Available workforce is also a key factor. North Carolina's worker training system is unparalleled in biomanufacturing, and the state's emerging vaccine cluster provides a community of expertise. Then there's the opinion of Merck's CEO, shared when he opened the company's Durham vaccine plant. "I tell them, 'If you want to know how to get us, go visit North Carolina and find out how they do it. Then call me.'" "So far nobody's called me."